Well, using it after its all cleaned up and ready to go of course! So that’s just what I did today. Ernest and I ( 😉 ) went to work on the picture frame that I started before the giant tool score. Its very fun to use a tool that I not only rehabbed, but that I know the story behind. This particular Stanley No. 4 is a late 1800 early 1900 version. 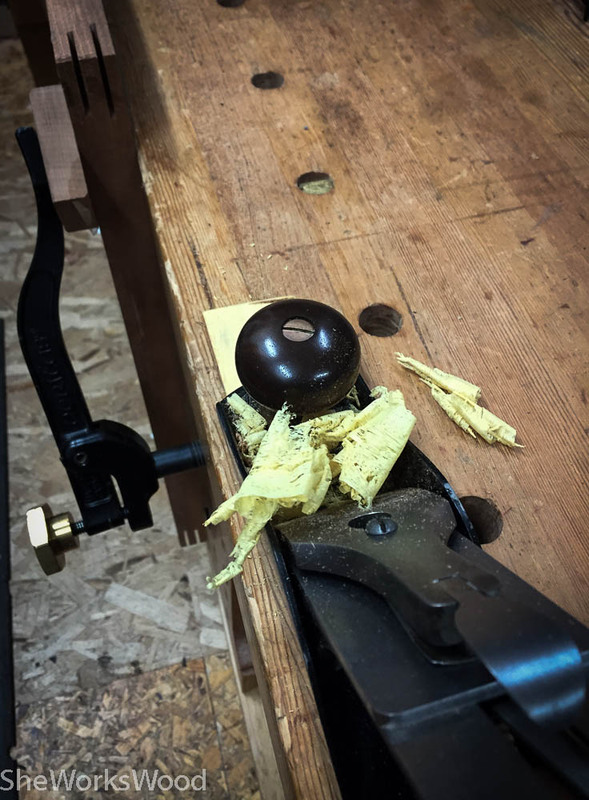 Its so old that the blade adjuster turns in the opposite direction that typical Stanleys and for that matter, pretty much every other plane does. If nothing else, it will remind me how old the plane is every time I use it. Here’s a couple of pictures of Ernest’s old plane in action. Getting No. 4 all lined out and cutting fine shavings on some easy to tear out quarter sawn Douglas fir. Thinning out a spline of yellow heart. So cool to have and use tools with stories. Well done. 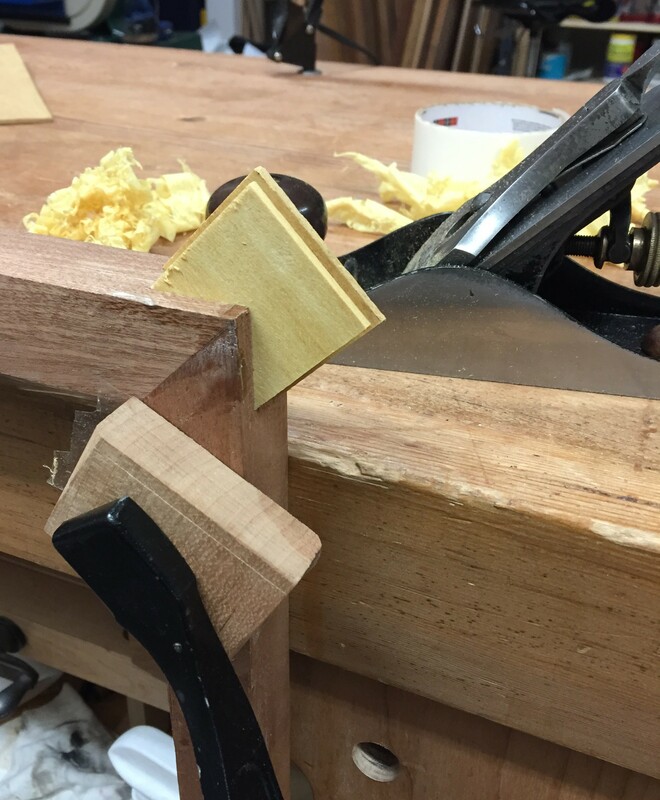 Hey, do you have a Moxon type add-on vise? I use mine so much more than the leg vise or the leg vise/sliding device combo. 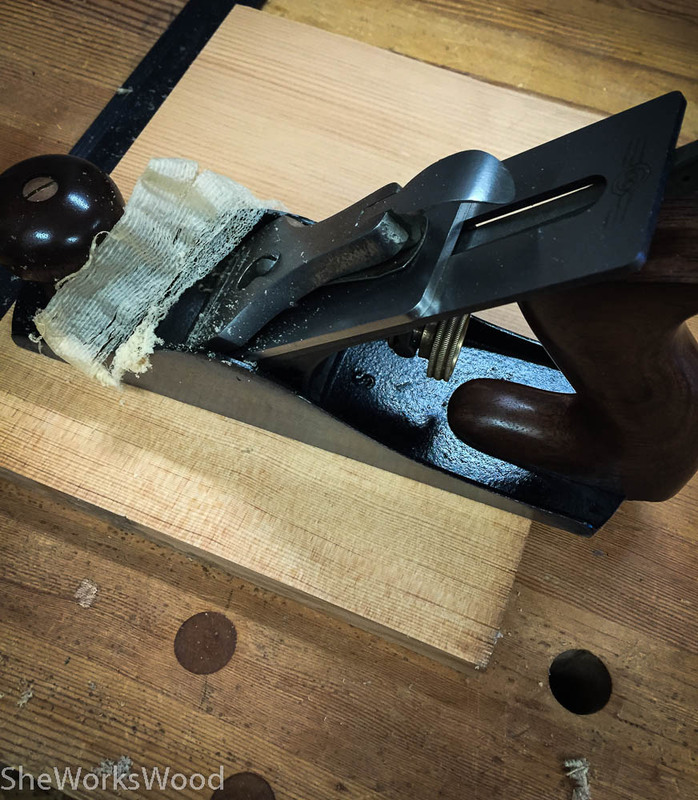 I have a bench on bench with Moxon type that I use for dovetailing. You’ll see a lot of it for my next project. I thought about making a bigger Moxon, but then I’d have to find a place to put it. So maybe, when I do my next garage clean out.